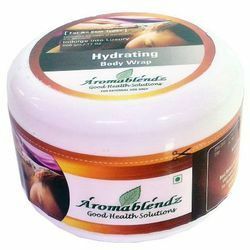 Prominent & Leading Manufacturer from Mumbai, we offer aromablendz rich chocolate body wrap, aromablendz cellufirm gel & body wrap, aromablendz body hydrating wrap, aromablendz marine algae body wrap and aromablendz strawberry detox body wrap. Application: Take approximately 30gms& add rose water till it forms a thin paste, then apply evenly on the desired body part & allow it to dry for about 10 to 15 minutes. Wash off with water. For best results, use twice a week. Use like a wrap in any spa body treatment. Use like a wrap in any spa body treatment. Use & Benefits: A super-rich and hydrating body wrap to nourish dry parched skin. 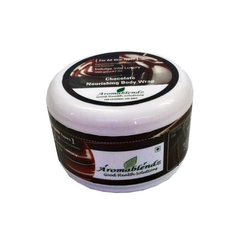 This luxurious product combines maple cocoa and shea butter to provide your skin with vital nutrients and your body with ultimate pampering. Skin Types: All skin types. Primary Purpose: To saturate super-hydrate and soften skin all over the body. Provides superior spread ability and absorption for active ingredients.Leaves the body super saturated A perfect treatment for dry skin. Application: Take approximately 30 gms & add rose water till it forms a thin paste, then apply evenly on the desired body part & allow it to dry for about 10 to 15 minutes. Wash off with water. For best results, use twice a week. Ingredients: Active botanicals of Wheat Germ & Shea Butter Glycerides, Burdock, Watercress, and Echinacea. Use & Benefits: The Algae self-heating Body Wrap is formulated with micronized seaweed, well-known for their detoxifying & remineralizing properties. This very fine powder turns into an unctuous effervescent & self-heating paste when mixed with water. While the temperature gently rises, the wrap releases its marine actives. Ideal as a thalasso therapy treatment, its progressively heating effect and its natural effervescence create a genuine feeling of well-being and relieve stress. Application: Take approximately 30 gms& add rose water till it forms a thin paste, then apply evenly on the desired body part & allow it to dry for about 10 to 15 minutes. Wash off with water. For best results, use twice a week. 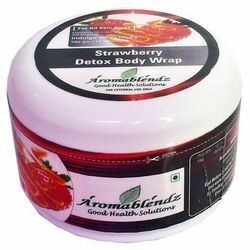 Composition: Strawberry Extracts, Vitamin C, Santalum album, Prunus amygdalus, Ash of Zincum, Sangeyashav, Keolinum, Zypsum. 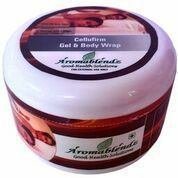 Looking for Aromablendz Body Wraps ?